Over the years many people have asked me about prayer. Many more have asked why we should pray at all, and if so, how should we go about it. Are prayers answered, and if so, by whom and how? The authors of this website have tried to answer some of these questions in their Occult Faq and Facebook posts. But in this investigation I aim to cover the subject in greater depth by exploring the true nature, purpose and power of prayer from the perspective of Occult Science. In doing so, many misconceptions will need to be jettisoned in order to discover what prayer really is, how it works, and the best ways in which we may employ it for the benefit of ourselves and others. But before I do so, it is important to make two things quite clear to my readers. No religion or church—past or present—has a monopoly on prayer. Nor does one have to subscribe to any particular religion or belief in order to benefit from the power of prayer. It is the voice of the Higher Self seeking comfort and guidance, and in its purest form, communion with something higher and greater than man, whether we regard that Principle as God, Divine Providence, angelic powers, or our own immortal Soul, and it is powerfully effective. Now what is prayer? How many people today truly know what prayer is, how to pray, and to whom, and for what? Some people regard prayer as a bargaining process in which they seek to obtain certain favours in exchange for their good behaviour at some future time. The Catholic Church employed a similar strategy during the Middle Ages: selling forgiveness of sins. For a fee, bereaved relatives could get their deceased loved ones out of Purgatory. The living could also offset their own future sins in return for a fee—a sort of a spiritual insurance policy. You may be surprised to learn that Indulgences—which is what this imaginative and very profitable 'scheme' was called—are still granted today by the Catholic Church in return for carrying out some spiritually 'elevating' task, such as climbing the Sacred Steps, in Rome, a penance that earns believers seven years off in Purgatory! No wonder there are so many completely wrong ideas about prayer. Many people have and do pray for victory in war. Yet others pray that all their problems be miraculously solved without lifting a finger to help themselves. None of these vain and foolish acts are prayer as any right-thinking person with an ounce of genuine spirituality would understand it. Nor do most people know what prayer really is, as we shall see. It is very easy to err in this and other ways in our prayers, by asking for that which would be to our harm instead of good. For what man or woman can truly say what is best for him or her in their evolution upon the Path to the Light? Real prayer can move the Hand which moves the world but how rare is such a powerful prayer, which can never be for ourselves, but for the good of All. And how few there are that can pray for All, and not think of self too! Real prayer is something much greater than this. It attunes us with the Higher Realms of Light and Love so beautifully and truly described in Vision Six of The Golden Star by J Michaud PhD. If we pray ardently we truly open heaven, but we must be careful about what we pray and ask for in our prayers, for as St. Augustine asked: "How can He grant you what you do not desire to receive?" We may ask for guidance, but what shall we do with it when it is placed into our hands? Shall we know how to use it wisely? Wisdom, Love or anything sublime: are we worthy to be entrusted with these divine treasures of God? Before we pray we should search our hearts, and if there is even the slightest blemish (and which of us is without them? ), let us beware how we pray and what we ask for. It must be clear to all right-thinking people that to pray for mercy when our hearts are full of bitterness towards others is blasphemy of the worst kind. To ask that our 'enemies' should be destroyed while we ourselves are 'saved', is the height of hypocrisy and an insult to God (provided He could be insulted by mere man). Beware of what you pray for when you pray. William Cowper has truly said that "the few that pray at all pray oft amiss," and Shakespeare caps this by saying: "If my wind were but long enough to say my prayers, I would repent." On the other hand we should bear in mind that God is just and merciful, and that He will comfort us if we pray sincerely and to the best of our ability. Nor do we need many words for prayer, or any at all, for as John Bunyan has said: "In prayer it is better to have a heart without words than words without a heart." And if we think of God with grateful hearts for all the gifts and blessings we receive from His hands then we shall have uttered the most perfect prayer possible. We may then say that real prayer is the voice of Faith. It is the spirit within speaking truth to the Spirit of Truth, which is both within us and outside us. Real prayer flies where the eagle never could ascend with its mighty wings of power; for Spirit is mightier than all earthly potency. More than 2,000 years ago, the Greek philosopher, Socrates said: "Our prayers should be for blessings on all, in general, for the Gods know best what is good for us." He also said: "I pray Thee, O God, that I may be beautiful within." Now that is a truly wise prayer we may all utter at all times with the greatest benefit to ourselves and others. We are often driven to prayer when we are sorely troubled and perplexed. What a pity that is! But sincere prayer will also drive away all doubt and perplexity. If we pray at all, let us pray for divine guidance, and leave the rest to God or His Ministers in Heaven. This is not to say that we should not pray for our own good health, wellbeing and prosperity, provided that we are also ready and willing to share these blessings with those less fortunate than us. For in this way our prayers benefit all and not just ourselves. Nor can a prayer for aid when we are in dire distress and deep despair be considered selfish. But we should only do so when we have tried all other means, for it is an eternal truth that those who will not help themselves and give way to discouragement sink under their own burdens. Most people only pray when they are in trouble; seldom when all goes well! Let us give thanks in prayer for our blessings too. In this way we express our gratitude for past, present and future blessings, and so draw closer to the Giver of those blessings, which is God and His angels. The book of Psalms in the Bible is full of prayers of thanksgiving, showing how greatly the ancient prophets and messengers from God to man valued gratitude. Read that book and be amazed at the practical lessons it has to teach us all. The poet Edmund Spenser truly has said that gratitude is the tune of the angels, and it is also true that gratitude is the memory of the heart, which is the seat of the Higher Mind, which is an Angel. But the heart of many people is like a prison in which the Higher Mind languishes for lack of nourishment. Gratitude is not a still small voice, or if it be such, then the quality of gratitude is poor indeed. It should be like a ravishing Song of Praise, and gratitude to God is like a fertile soil on which blooms the Tree of Joy. And a single thought of real gratitude is like the most beautiful and perfect prayer. A grateful mind is a great mind, and those who are filled with gratitude for the benefits they receive from God shall not be left long in affliction. But the ungrateful and mean of heart who sneer at the charity of men or God shall reap the reward of their own faithlessness. But our gratitude should not be of that quality to which de La Rochefoucauld refers in his maxims when he said: "We seldom find people ungrateful so long as we are in a condition to render them some service." That is not gratitude but self-interest, like the man or woman who tries to bargain with God that I mentioned earlier. It is best to pray in solitude, far from other petitioners who seek to enter the audience-chamber of God, though they will never be able to go farther than the nearest Angel who records our prayers, and our curses. But ardent prayer which comes from the heart filled with love for the Creator opens up the golden Portals, so that the prayer enters there, and finds its inevitable answer from on High. In Matthew, chapter 6, verses 5 to 6, we find absolutely correct advice about prayer which has never been equalled. Although prayer is considered one of the three Christian duties (the other two being alms-giving and fasting), these verses plainly belong to the very Essence of the path to the Light, and bear the imprint of the Ancient Wisdom I have discussed in my previous investigations, even though in one or two expressions it has been given a Palestinian colouring. But the true activity commonly known as prayer is not a duty in the sense of something imposed from without. It is part of our co-operation with Cosmic Law; it is part of the Rules of Divine and Universal Harmony. In music such rules are kept not as a duty but as a necessity. Otherwise, the result is not music but mere noise. That the same may be said of most prayers uttered nowadays is evidence enough of the truth of this. Let us look at these two verses more closely to see what occult truths they hold for us. "And when thou prayest, thou shalt not be as the hypocrites are: for they love to pray standing in the synagogues and in the corners of the streets, that they may be seen of men. Verily I say unto you, they have their reward. But thou when thou prayest, enter into thy closet, and when thou hast shut thy door, pray to thy Father which is in secret; and thy Father which seeth in secret shall reward thee openly." To pray in the synagogue, where all the good and pious people are, so that you too may be thought good and pious, or at a street corner, where you can be seen down two streets at once—that is all. What more can happen? They already have their reward, which is to be seen and perhaps admired by others, or perhaps not! But to pray in the little cupboard where the blankets were kept (to be brought into the big room at night), in a place, that is to say, where no one would think of looking for you, and certainly no one would suspect you of saying your prayers there, that brings permanent results, for the power runs free without interference from others and without distractions of any kind. If you have not realised it already, then now is the time to know that real prayer is ATTUNEMENT. But you cannot tune any instrument while other noises intervene. Silence is needed. The picture language of the verses from Matthew quoted above refer primarily not to any particular place of prayer, but to its method and meaning. As to method, there are some who are able to find the necessary inner silence and can 'shut the door' within themselves, even in the midst of the world's activities and while others are present. Most of us probably are glad to be alone to pray, with outward silence to help. But it is the inner silence which is necessary and which must be attained before true prayer can begin. As to the meaning and object of prayer: the purpose of all living is harmonious action. The tuning of an instrument is not an end in itself. A violinist having tuned his fiddle does not sit back and meditate on how lovely it is to be in tune. No! He takes his place in the orchestra and gets on with the music. Prayer is the preface of power, which is the ability to take part in the rhythmic swing of the true activities of the universe. That is the Heavenly Father's 'open' reward. All this makes the baser motives of religious self-display appear utterly foolish and ridiculous. Quite obviously they are negative and degrading. Yet the temptations are subtle, and self-deceit is easy, for prophet and priest and people. The need for private praying does not exclude corporate worship. We are told to pray together, as in Matthew chapter 18, verses 19 and 20. "For where two or three are gathered together in my name, there am I in the midst of them." Where the conditions are right the power is greater. A car with several cylinders is more powerful than a motorcycle with one. But it has more to do and needs them all. The power, and consequent responsibility of a praying Church could be immense, if all were in tune. But ask yourself—if you are, or were a member of any church—how often does this happen? If you are honest, you will agree with me that such attunement is very rare indeed. Here the 'open' reward may be corporate on earth, which may bring about a sense of increasing fellowship and influence among a congregation. But the reward must be individual. For each one of us is at a different stage on the long journey, and must reach the goal by himself. What about the bodily position we adopt during prayer—does that matter? In The Golden Star mentioned earlier, it is said: "To address the Higher Beings you must never kneel down; for the act of kneeling down lowers the whole attitude of the petitioner, and brings him in attunement with the lower worlds of beings; with the material, or even lower. Therefore, the supplicant should stand upright, with arms crossed over the breast and one hand resting lightly on each shoulder. He should look UP." This is true, but it does not follow that all those who do kneel in prayer, as is the practise among both Christians and Muslims, attune with the lower astral worlds and lower beings. Remember what I said earlier: ardent prayer which comes from the heart filled with love for the Creator opens up the golden Portals, so that the prayer enters there, and finds its inevitable answer from on High. In other words it is the mental attitude of the petitioner that counts, not the bodily position he or she adopts during prayer. I may seem to be contradicting J Michaud here, but if you think about it you will see that this is not the case at all, for the reason given. Having established what prayer is, why we should pray and how best to do so, the final question we need to consider is to whom we should direct our prayers. Let me tell you, in case you have not realised this already. First of all we should attune our Higher Minds with our own Divine Soul. Then we can ask the Soul to intercede for us with whomsoever in the Higher Realms it would be best to inform of our needs, material or spiritual. The Soul will act, if we know how to contact it. This is the best way of prayer. But we can also ask in a general manner for whatever we need for others or for ourselves, and there is then no need to name any God, angel or other being, for as I explained before, this would be useless, but we may be sure that if we ask for anything that is not only good for us but will also be good for others, that our prayer will be heard by those who are nearest to us in the Higher Realms, and that our request will be sent to the right quarters, and will be granted if it is for our own good and the good of others on earth—or elsewhere. Before I end this investigation of prayer, let us see what science has to say about it, for it behoves us as students of occult science to consider any subject from as many angles as possible, so that we may obtain a complete view of it from a spiritual and material perspective. People have sought for scientific proof of the efficacy of prayer for more than 100 years. Nowadays, many more long for the opposite, hoping this will finally undermine religious faith, and sound the death knell of all religions. The first known study on prayer was published in 1872 by the English polymath Francis Galton. He found that prayers for personal material benefits, such as long life, health, recovery from sickness, and success in business affairs, were futile and produced no beneficial result. Any occult scientist could have saved him the trouble by pointing out, as I have done earlier in this investigation, that prayers with a selfish object in view—however understandable from a human perspective—receive no answer, or if they do, it is from the denizens of the lower realms, usually in the form of derisory laughter! But in fairness to this eminent if misguided Victorian sociologist, the subjects he chose for his study were all clergymen in the Church of England whose idea of prayer all too often consisted of the ostentatious public performances mentioned in the gospel of Matthew discussed earlier. Those of you familiar with your Bible will recall that Jesus railed against just sanctimonious verbiage. "Woe unto you, scribes and Pharisees, hypocrites! for ye are like unto whited sepulchres, which indeed appear beautiful outward, but are within full of dead men's bones, and of all uncleanness" (Matthew 23:27). I am sorry to say that this condemnation applies to many of my erstwhile colleagues in the Church of England, and applies even more so today. One good friend of mine—who is still a practising clergyman—observed not so long ago: "they are all career priests building their little empires and God help you if you remind them of the teachings of Christ!" Bitter words, but unfortunately true! But I digress. Recently, various scientific prayer experiments have attempted to establish a positive connection between faith and science, though it is only fair to say that as science does not acknowledge the existence of Spirit, much less have any 'faith' in anything it cannot see, probe or dissect with the scalpel of the lower mind, such studies remind one of nothing so much as a blind man looking for a black cat in a dark cellar that isn't there! One modern study that did find a small positive result for prayer was Randolph Byrd's 1988 experiment which involved 393 patients admitted to the coronary care unit of San Francisco General Hospital in the United States. About half of the patients were prayed for by "born-again Christians." The study measured 29 health outcomes using three scoring levels; good, intermediate and bad. Byrd found that there was a significant difference in the quality of recovery among patients who received prayers than those who hadn't. Almost 85 percent of the prayed-for group scored 'good' and were less likely to have a heart attack, need antibiotics or require intervention like ventilation or intubation. In contrast, only 73 percent of the control group scored 'good.' The reaction of scientists to this study was understandably mixed, some complaining that Byrd omitted to limit prayers to the friends and family of patients, and failed to record which prayers, if any, were actually been measured. Truly, the pedantry and nit-picking of some scientists knows no bounds! A further study in 1999 by William S Harris et al published in the Archives of Internal Medicine (now JAMA Internal Medicine) which attempted to replicate Byrd's findings under stricter experimental conditions, found that intercessory prayer produced a measurable improvement in the medical outcomes of critically ill patients and suggested that "prayer can be an effective adjunct to standard medical care." More recent studies, using even 'stricter' controls and 'double-blinded' methods—both euphemisms for scientific orthodoxy—have mostly concluded that "intercessory prayer has no significant effect on medical outcomes after hospitalisation." One exception to this was a study conducted in 2001 by Leonard Leibovici which used the records of 3,393 patients who had developed blood infections at the Rabin Medical Center in Israel between 1990 and 1996. Leibovici found that two of the outcomes—length of stay in the hospital and duration of fever—were found to be significantly improved in the intervention group, and concluded that: "I believe that prayer is a real comfort and help to a believer. I do not believe it should be tested in controlled trials." From which we may safely conclude that so far as material science is concerned the jury is still very much 'out' regarding the power of prayer, and is likely to remain so for the simple (but scientifically untenable) reason that it is not something than can be 'measured' by any of the present methods of science. The power of pure prayer is so profound that almost anything can be obtained by it, but we must also remember that true prayer does not consist of many words; a single thought of gratitude to our Creator has greater possibilities of our being granted those things that are best for our inner development and ultimate happiness and liberation, than a whole rigmarole of mechanically mumbled words and phrases uttered by the mouth, but not coming from the heart, of the egoistic, puritanical, if not hypocritical common devotee. God reads our hearts in pity and mercy and full understanding of all our weaknesses and wrong as well as ignorant desires. For who can tell what is best for our good in the ultimate? I am reminded of the good friend I mentioned earlier who is a priest in a small London parish who is wont to tell his congregation that "you can pray for anything you like, only God help you when you get it!" Those who pray for a win on the lottery might profit from his good advice! A wise man or woman leaves all to the Mercy of God and his Ministers who will bring unto us that which is most needed for a clearer understanding of His Wisdom, so that we may find true emancipation in the end and be led to the pure light of his Divine Majesty. Then the lower realms will have no glamour left with which to entice us to the doom of gloom or darkness, leading to rebirth on earth. Real prayer is the Key to the Gates of Heaven; and the more powerful and sincere the prayer, the more glorious the Gate that Key will unlock for you. To turn our thoughts heavenwards and away from earth is also prayer for in this way we attune with the higher realms of Light and those who dwell in them, who will aid us if we are worthy of such assistance. A pure wish is the desire of the Higher Self for Light and Liberation; prayer the wings that will carry it up to God. As the flower opens its eye to the light of dawn, so should man open his heart to God, that His rays may strengthen the flowering, and the fruit of attainment be his. 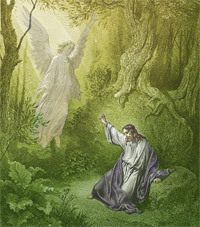 And remember too when great troubles come upon you, that there is no Gethsemane without an Angel who hovers over it. Think—before sending forth your thoughts or prayers—that a wish or thought or prayer may be either a discord or harmony. The heart which is filled with loving-kindness prays of its own volition; but the empty of heart cannot pray. If your prayer is good, then no matter how often it is repeated, or what words it consists of, or if it consists of silent longing for comfort and help alone, it will throw a radiant beam aloft. Real prayer is like the sweet stroke on a golden bell, the resonance of which is heard in Heaven. But to the man of dull belief and comprehension, God is dumb, and His Angels turn their faces away from him. May the Spirit of Goodness reach out into all Space. May the positive POWERS of these Principles overcome all negative conditions. And may Peace Profound reign everywhere. Such prayers are absolutely spiritual and can have marvellous results for the good of all mankind if sincerely projected silently from within in the manner the author describes. Those who are in the habit of praying much in the RIGHT manner are known by the sweetness of their smiles and the joy which lights up their faces; for those who pray rightly in this way contact the Source of All Joy and Sweetness. And that, dear reader, is the simple, yet all-powerful secret of prayer in a nutshell. If my investigation has encouraged you to make prayer a daily habit, and direct your prayers in the right way to the right quarters, or even if it has only opened your eyes to the possibilities of prayer, I shall be well content. Esotericism in the Nativity. An investigation of the Bible story of the birth of Jesus, revealing the many layers of hidden meaning it contains, and the historical parallels between Jesus and the many saviours of other religions. If God is good why does he allow evil?. An investigation of the problem of Good and Evil from the perspective of occult science and some important extracts from the Oera Linda Book which shed light on this age-old question. The power of Prayer (this article). An investigation of the nature, purpose and power of prayer, the many misconceptions surrounding it, and an analysis of the occult truths contained in the Lord's Prayer. Article added 23 April 2018. Updated 21 April 2019. In this afterword I consider the most well-known prayer of all: the Lord's Prayer, to discover where it came from, what it means and what occult truths it contains. The Lord's Prayer as we have it today dates from around the 1st century A.D., which Jesus is said to have taught his disciples as recounted in the gospels of Luke and Matthew. These are the only gospels in which the prayer occurs, as both Mark and John omit it. Thy will be done, as in heaven, so in earth. And forgive us our sins; for we also forgive every one that is indebted to us. And lead us not into temptation: but deliver us from evil"
The Church adopted Matthew's version of the prayer at an early date with slight changes, whilst the version now in use in the Church of England (but not the Catholic Church) differs again from the traditional prayer. The first thing to be noted is that there is nothing in the prayer that is particularly Christian, nor, as the Church teaches, does it express the belief that the Messiah had already arrived in the person of Jesus. On the contrary, the first and principal part is a plea for the coming of the kingdom of God, exactly as it is found in the Jewish Kaddish (meaning hymns or praises to God). "Our Father which art in heaven, be gracious to us, O Lord, our God; hallowed be thy name, and let the remembrance of thee be glorified in heaven above and in the earth here below. Let thy kingdom reign over us now and forever. The holy men of old said, Remit and forgive unto all men whatsoever they have done against me. And lead us not into temptation, but deliver us from the evil thing. For thine is the kingdom, and thou shalt reign in glory for ever and for evermore." The invocation "Our Father" is derived from the Aramaic word 'abba', meaning father, and is common in the Jewish liturgy. More frequent in Jewish circles was the invocation "Our Father who art in heaven," as we find it in the Kaddish quoted above. The hallowing of God's name is found in many parts of the Old Testament, such as "the ushering in of His kingdom" (Ezekiel 38:23), while the words "Thy will be done" refer to the time of the coming, signifying that none but God Himself knows the time of His "divine pleasure" (Isaiah 61:2; Psalms 69:14; Luke 2:14). This suggests that the Lord's Prayer did not originate with Jesus but was composed by his followers as a summary of his teachings much later. If this is true—and it is a point hotly debated by theologians—it does not detract from the fact that the prayer as we have it is in full accord with the teachings of the Essenes, of which brotherhood Jesus was most probably a leading member, as I discussed in my investigation of the historical Jesus and the mythical Christ. So much for the origins and versions of the prayer, what of its occult meaning? Over the centuries, much has been written upon the interpretation of the prayer from an orthodox theological perspective, but very little from the occult point of view. Let us begin with the first two verses as we find them in Luke and Matthew, which you will remember are: "Our Father which art in heaven. Hallowed be thy name" This is self-explanatory, so let us move on to the next verse: "Thy kingdom come," which is the same in both Matthew and Luke. This is similar to the petition in the Kaddish mentioned earlier, "Let thy kingdom reign over us now and forever." But what is this kingdom? Biblical scholars have argued over this point for centuries, some claiming it refers to the present time, others to an indeterminate future. Nowadays, most scholars have cut the Gordian Knot by declaring that it has both a present and a future aspect. For once they are right. For if you have not already guessed, the 'kingdom' is that Realm of Light described so truly and beautifully in Vision 6 of The Golden Star, wherein it is called "the Prince-dom of the Rulers in the World of Astral Fire." This is the same as the Heavenly City described by John in Revelation. That kingdom exists now for those who dwell within it, is to come for those who attain to it, whilst this earth itself will reflect its glories at the end of the Kali Yuga, when the true 'Golden Age' will be ushered in for all mankind. The next verse couldn't be clearer; do we not all wish that God's will, and not ours, be done on earth? I hope so! For man's will has turned this world into a living hell for millions. It is in the next verse that we encounter real difficulties. "Give us day by day our daily bread." This is a translation, first into Latin and then into English of the Greek words artos epiousios. We have the 4th century theologian 'saint'(?) Jerome to thank for the controversy these words still excite today. When he was commissioned by the Pope to renew and consolidate the various collections of biblical texts then in use by the Church, Jerome went back to the original Greek of the New Testament and produced the Vulgate, or Latin Bible. Jerome translated epiousios in two different ways: 'supersubstantial' (supersubstantialem) in Matthew 6:11, but retaining 'daily' (quotidianum) in Luke 11:3. Biblical scholars will probably still be arguing about whether 'day', 'daily' or 'day by day' is the right translation so long as there only two left on earth, just as they argue about the meaning of 'bread'. It will be clear to my regular readers that both 'day' and 'daily' refer to the repetitive 'days' of our incarnations on earth, and 'bread' to the spiritual nourishment we may receive—if we wish it—during each 'day' and 'days'. The next verse is not without its difficulties either, as I hinted earlier. Luke has "And forgive us our sins; for we also forgive every one that is indebted to us," while Matthew has "And forgive us our debts as we forgive our debtors" (my emphasis). Now a 'debt' is not the same thing as a 'sin'. Here Luke comes closer to the occult meaning of this verse. Whatever the Church may believe or teach, occult science is quite clear that debts—that is something or other which we owe to someone, or are owed to us—cannot be 'forgiven', only repaid. As the authors of this website say in their article about the wisdom of the Druids, "if you owe anything to anyone, no matter what, you will have to repay it at some time or another in some way. If it were not so, then there would be no justice of any sort." This is true, however unpalatable it may be to those who fondly imagine that God is above the Universal Law and can cancel our debts. Sin—however we may regard it—is something else entirely, though it is only fair to say that occult science only recognises one sin—that of ignorance in all its forms. All the rest comes under the heading of negative thoughts and deeds. Unlike debt, sin can be forgiven, provided we make amends for whatever wrong thoughts or actions we are guilty of. And the same applies to our forgiveness of the sins of others against us. The next verse has been the cause of the greatest controversy on the one hand and the most blasphemous and superstitious dogmas on the other. Both Luke and Matthew have: "And lead us not into temptation..." Now what sort of God is it that does this sort of thing, and what sort of 'master' is it who teaches such a prayer? Who tempts us, God or the Devil? Now if we were taught to ask that God should grant us the power to resist temptation, that would be the right way to pray. The Bible is full of similar errors, in spite of the great wisdom which is preserved in its pages. That is the reason why I have repeatedly warned my readers to be very careful how they interpret the Holy Books. That this is the correct interpretation of this contentious verse, the concluding clause confirms: "...but deliver us from evil." Some scholars have suggested that the rendering of this last clause should be "deliver us from the evil one"; a change which justifies the use of 'but' instead of 'and' which we might expect to find in this position that essentially converts the two last clauses into one and the same petition. The same meaning would be achieved by substituting the word 'and' for 'but', for evil is as evil does, whether it is embodied in an individual being or not. It is noteworthy in this connection that as recently as 2017, Pope Francis called for this verse to be changed when he announced on Italian television: "It is not a good translation because it speaks of a God who induces temptation." What a pity that it has taken nearly 2,000 years for the Church to reach this conclusion! He went on to say: "A father doesn't do that, a father helps you to get up immediately. It's Satan who leads us into temptation, that's his department." Some might argue that the Catholic Church has often made temptation its own department, but let that pass. One Anglican theologian reacted to the pope's suggestion by saying that it would make traditionalists nervous. "The word in question is peirasmos which means both to tempt and to be tested in Greek. So on one level the pope has a point. But he's also stepping into a theological debate about the nature of evil. In terms of church culture, people learn this prayer by heart as children. You fiddle with it at your peril." If this is not a case of the pot calling the kettle black, I don't know what is, as the Church has been 'fiddling' with sacred writ from its very beginning, but let that pass too. There, we must leave this analysis of the Lord's Prayer, which I hope has been as interesting for you to read as it was enjoyable for me to write. You can read a brief review of The Golden Star referred to in this article below. 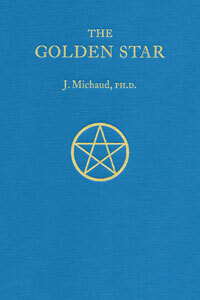 A complete list of all the books of J Michaud PhD can be found in our books section. John Temple's previous articles on the Search for Truth are listed in order of publication in the box at the bottom of the main article. This is emphatically NOT a book for those who imagine (or expect) the laws and principles of Occult Science to be easily explained and neatly pigeon-holed for their convenience. The great Occult Truths are apprehended in a flash by way of the Higher Self through inspiration and intuition, not by logical deduction and reasoning, though these mental attributes are needed too.